California law is decidedly severe when it comes to crimes of domestic violence—to the point that even being charged with a DV off ense should evoke a sense of fear. Whether you are guilty or wrongfully accused, if a bad situation at home results in being charged with a crime, you should be as informed as possible about each charge, and its possible penalties, so you know what to expect and how to be prepared. To that end, we’ve compiled the following catalogue of some of the more common domestic violence crimes, as defined by the California Penal Code. Ever since you woke up the morning after your Los Angeles DUI arrest, you have been obsessed with your case and deeply worried about what will happen to you and your life. • Will a six-month California driver’s license suspension be in the offing? • Will you have to go to jail for hurting or seriously injuring someone else? • Will your insurance rates go up? • Will your boss fire you? • Will your girlfriend or boyfriend break up with you? • What will happen to you, if you ever get in trouble with the law again? • Are you doomed to be a slave to your impulses to consume alcohol and/or drugs and/or prescription medications? • How can you fight the charges and get best results? These and dozens of other questions and scenarios are likely floating around in your head and causing you tremendous agitation and stress. They are important to address. But given your current fragile state, you may not be able to address them effectively. Try the following exercise to give yourself some space – almost a mini mental vacation – from the chatter about your DUI. 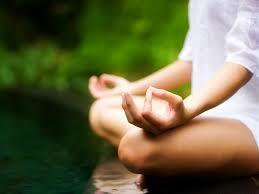 Find 15 minutes where you can be alone and in peace, and practice doing meditative breathing as follows. 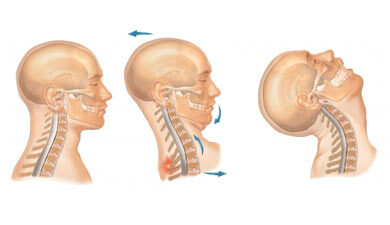 Sit comfortably in a chair — ideally, upright with your body relaxed but alert. Then just watch your breath flow in and out of your body. You don’t have to try to force the breath or take deep breaths or anything. Just watch the breath as it goes into your lungs, and then watch it as goes out of your lungs. You can breathe naturally: just try to focus all of your attention on the act of breathing – watching the process as if you were an objective observer watching the ocean waves flow in, hit the shore, and flow out. You will notice that there are basically four distinct parts of the breath. There is the “in breath.” There is a kind of pause that happens at the top of the in breath. There is the “out breath.” And there is the pause after the out breath. Try to become very interested in all the minute details of this process. If and when thoughts about your DUI pop up – and they likely will, and the chatter may grow intense as you get into this exercise – acknowledge them, but let them go. You will have time to think those thoughts later. For now, you just want to focus on the breathing. Set a timer behind that will go off in 15 minutes, and tell yourself that you can “touch” those thoughts and worries once the timer goes off. Every time you have a non-breath related thought, let it float away from you, as a child might let a helium balloon float into the clouds. Hopefully, that exercise can give you a little sense of peace and quiet and help you improve your concentration. For practical help with your Los Angeles DUI defense, get in touch with attorney Michael Kraut of the Kraut Law Group. Mr. Kraut is a Harvard Law School educated ex-prosecutor who can help you make smarter decisions about your case. When people read about Los Angeles DUI defense stories, they often get suspicious. Are DUI attorneys simply getting dangerous people “off the hook” and causing miscarriages of justice? The reality is: absolutely not. Attorneys like Michael Kraut of the Kraut Law Group work diligently to ensure justice and fairness and to protect people who don’t understand their rights and obligations. But every once in a while, some ridiculous story comes down the pike that seems to confirm the popular suspicion that DUI lawyers are simply in business to get dangerous drivers off the hook. This sets our entire cause back substantially. 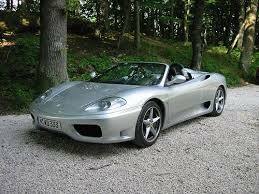 Consider, for instance, the recent case of Joseph Shaun Goodman, a Washington state man who smashed up his $70,000 silver Ferrari F360 on December 29, 2013, after leading police on a high speed chase. Per news reports, this was Goodman’s seventh lifetime DUI arrest. He just pled guilty to both the DUI charge and a felony charge for alluding police. However, per his arrangement, he will not spend a single day in jail. Another man, Henry Griffin, had been riding in the car with Goodman on the evening in question, when police saw his Ferrari speeding and tried to pull him over. Instead of stopping, Goodman fled, driving erratically at high speeds. Griffin called 911 and begged his friend to let him out of the car. Goodman finally slowed down enough so that Griffin could jump out of the car. He did and got pretty banged up as a result. Eventually, Griffin crashed, and police caught up to him. They tested him and found that he had a 0.16% BAC – twice the legal limit in Washington and here in Southern California. 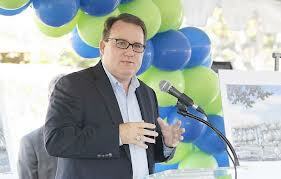 He was busted not only for felony eluding and felony DUI but also on suspicion of falsely imprisoning Henry Griffin. Local law says that someone with two or three DUI priors gets, who get caught for DUI again with a BAC greater than 0.15%, must serve a prison sentence of 120 days. But Goodman somehow managed to get out of this penalty, prompting Griffin and two dozen others to protest the lenient punishment. In Southern California, if you are convicted three times for DUI within a period of ten years, you can similarly face mandatory massive jail time, even if you didn’t hurt anybody, elude police or falsely imprison anyone in your vehicle. Whether Goodman’s result was another case of “affluenza,” as critics have said, or just a fluke or lucky break is impossible to say. If you or someone you love wants a free consultation about your rights and options, call former Senior Deputy District Attorney for Los Angeles Michael Kraut today to get the insight you need into your Los Angeles DUI defense. Private Eye Accused of Playing Role in Fake Los Angeles DUI Case Takes the 5th Amendment… 200+ Times on Witness Stand! A Riverside Private Eye, Chris Lanzillo, has taken the 5th Amendment (to avoid self-incrimination under oath) over 200 times in a recent deposition. Lanzillo stands accused of following Jim Righeimer, the Mayor of Costa Mesa, back in 2012, and calling in a fake DUI report on him. The lawsuit says the PI tailed the mayor, called 911, and reported that the mayor had been driving erratically and weaving around. Lanzillo was working for the Costa Mesa Police Association, which had been in a major kerfuffle with Mayor Righeimer and his City Council. Critics believe that Lanzillo – backed by the Police Association — engaged in an illegal smear campaign. Righeimer’s successor, Mayor Pro Tem, Steve Mensinger, says that someone also put a GPS device on his vehicle, when he ran for election. The deposition of Lanzillo lasted a full three hours, and he took the 5th 200 times. That means that, on average, Lanzillo took the 5th more than **once a minute for three hours in a row**. The Costa Mesa Police Union, meanwhile, denies the knowledge of the false DUI and instead places blame on a law firm it hired – Lackie Dammeier McGill & Ethir – which has since been dissolved. The firm had a reputation for representing police associations in a very aggressive manner. How does anyone really know what happened during a DUI arrest (or accident) in an objective way? The answer is that objective fact finding is hard! An accident reconstruction expert – who is familiar with DUI crashes – should get involved, ASAP, and identify what happened prior to the collision. For instance, was the crash unavoidable, or did human error or negligence play some role? The analyst should also look at the mechanical condition of the vehicles involved, weather, traffic and lighting that may have been relevant, and road conditions. Do Los Angeles DUI Checkpoints Really Work? Los Angeles DUI checkpoints have their critics. For instance, the American Beverage Institute complains that checkpoints lead more often to frivolous citations – police cite drivers who don’t have their licenses or who have broken taillights – than they do to stopping dangerous drivers. The ABI is actually far more fond of saturation patrols, also known as roving patrols. The ABI loves to cite a 2007 Virginia Tech study that found that roving patrols are almost 25 times more likely than checkpoints to nab DUI drivers. Even if the American Beverage Institute’s analysis holds water — and the 2007 study could be replicated and confirmed here in Los Angeles — that doesn’t mean that police will (or should) suspend checkpoints. After all, one of the arguments for checkpoints is that they act as a deterrent. When drivers get behind the wheel, they know that checkpoints are out there “somewhere,” lurking. This fact may encourage drivers who are on the fence about whether to drive after drinking to make the smart choice and call a cab or a designated driver. Advocates of checkpoints argue that they’re also safe and relatively easy for police to run. Of course, as someone who has been recently arrested — or knows someone who has been arrested — for a DUI, you probably could care less about whether saturation patrols or checkpoints are better enforcement methods. Instead, you want crystal clear, insightful guidance about how to fight your charges and move on with your life. 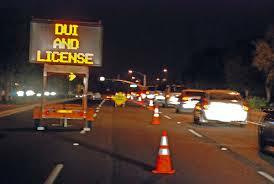 Look to the Los Angeles DUI defense team at the Kraut Law Group. We can help you get a grip on the charges you face and develop a plan of action to take them on. For most people, the idea of getting a DUI in Glendale (or anywhere, for that matter) is less than appealing. It’s something to avoid. •	Your license can be suspended. •	You may have to serve jail time. •	You may have to pay substantial fees and fines. •	The court may order you to install an interlock ignition device in your car. But not everyone is scared by the prospect of getting a DUI. In fact, according to reports out of Bremerton Washington, a local man purposefully got arrested just because he wanted to see what it was like to evade police. According to reports from KIRO TV in Washington, a 21-year-old man was driving wildly near Burwell and Naval Streets, when police saw him. The officer flipped on his lights, but the young man evaded and sped off. The officer followed him for a mile before stopping the chase because it was too dangerous. The evading driver finally pulled into an ally. Sergeant Kevin Crane said that the driver then put his hands on his head and let himself get arrested. The man told him “I just always wanted to do that. I wanted to see what it felt like.” There was no marijuana or alcohol in the car, but the Sergeant did book the young man on DUI charges as well as charges of reckless driving and evading police. Most Glendale DUI defendants do not understand (or sympathize with) someone who purposefully breaks the law. But it can be tough to balance the desire to have fun and “live life” with the need to be safe and avoid hurting yourself or others. Figuring out this line is surprisingly difficult. For instance, let’s say you’re a 260 pound male. You have three drinks within a five hour period at a party. Is it safe to get behind the wheel? Maybe it is, maybe it isn’t. Maybe your metabolism is not great at processing alcohol: in spite of your weight, you would test above the Glendale DUI limit of 0.08%. Or maybe you could “get away with” driving after three drinks. But here’s the thing: just because you are under the 0.08% limit doesn’t mean that you’re “good to go.” In fact, you can still be at a substantially elevated risk of hurting someone or doing something stupid behind the wheel. So don’t push your luck. To avoid a conviction for Glendale DUI, you need to be smart and strategic, and there’s no guarantee of success even then. Consider scheduling a free consultation with Michael Kraut of the Kraut Law Group. Mr. Kraut is a thorough, credentialed Long Beach DUI defense attorney; he can protect your rights and build a sound defense strategy. You got recently arrested for DUI in Los Angeles. You’re probably under the impression that your blood, urine, or breath tests were precise. How were the Los Angeles DUI blood test issues found? Officials discovered them during an audit. One machine was off by 0.001 percentage points. This error affected tests taken between December 2012 and May 2013. That error may not sound like a lot, but it could have adversely affected around 1,000 samples. When you do the math, of the samples taken with the faulty instrument, approximately 100 might have underestimated the BAC results. Out of those, nine cases could actually be reopened, because the retroactive re-calibration would push those tests from 0.07% BAC to the Los Angeles DUI limit of 0.08%. Another machine was off by 0.03%! That means someone who tested at 0.010% BAC may actually have been under the limit at 0.07%. The bottom line is: This is a mess. These errors could change sentences for hundreds of people accused for DUI throughout the Southland. As this blog has pointed out — again and again over the years — systematic errors with breath, blood, and urine tests for DUIs seem to crop up, regularly, in different cities, at random times. The moral is this: investigate your Los Angeles DUI arrest thoroughly. Fortunately, you can turn to ex-prosecutor and Harvard Law School educated Los Angeles DUI lawyer, Michael Kraut, for thorough, systematic assistance with your Los Angeles DUI case.